Use of an extendable pole to maintain standoff has been used by EOD for decades. 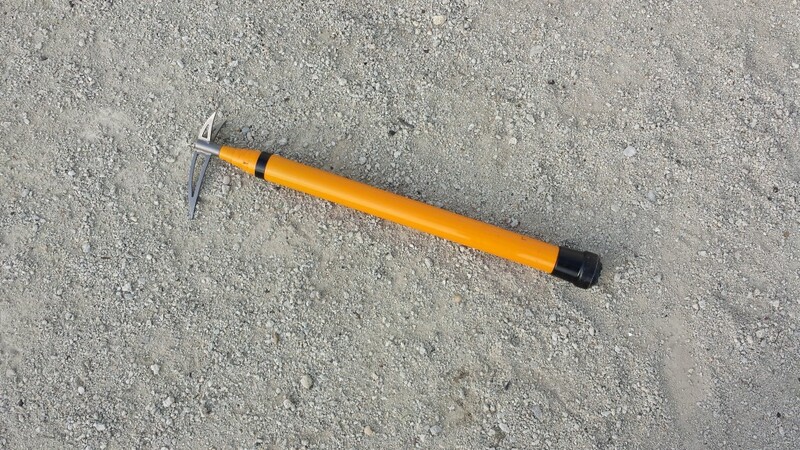 This Sickle Stick design came out of the Marine Corps experience in the Helmand province of Afghanistan, where the ability to check ground disturbances from a distance was life saving. The Detonation Technology Fiberglass Sickle Stick provides this capability in a compact and light weight package. 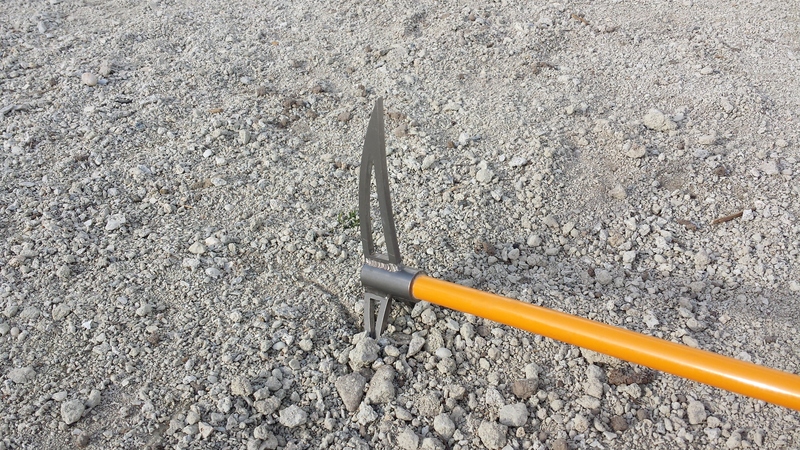 The Sickle head uses a unique double sided design that is optimized for different ground types. 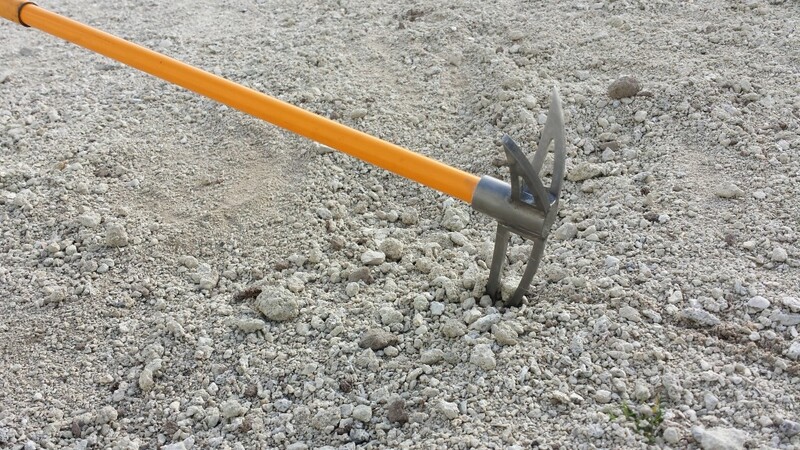 For soft sand the large single blade will dig in, enabling an operator to find deeper buried items. The dual blades work well on harder packed ground. It’s also helpful when using the Sickle Stick at night under NVG’s; the operator can feel when both blades are on the ground, when it can be a challenge to use a single blade. 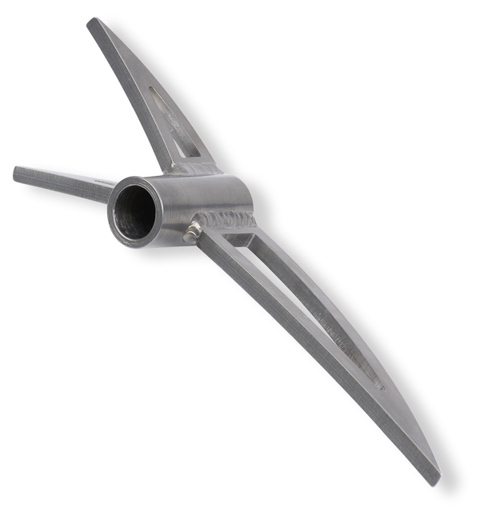 The laser cut and TIG welded stainless steel construction is incomparably more durable than carbon fiber and the polymers that have been used to make sickle heads. You will not break a Detonation Technology Sickle head, period. The pole is a light weight but sturdy fiberglass unit that uses a friction lock method. Collapsed length is 25″, extended length is 159″, and it weighs 2.25 lbs. The advantage to the operator is less bulk and speed of use. Anything that involves threads or twist-to-lock knobs becomes more challenging to use in the dark and wet under combat conditions. This all is part of the DetTech philosophy of designing tools around the operator on the ground at 0300 in knee deep mud carrying 110lbs of gear. For more information email Sales@DetonationTechnology.com.